Paleontologist Dr. CHANG Meemann (ZHANG Miman), a senior professor of Institute of Vertebrate Paleontology and Paleoanthropology (IVPP), Chinese Academy of Sciences, has been recognized by UNESCO and the L'Oréal Foundation as one of five outstanding female scientists from around the world for “her pioneering work on fossil records leading to insights on how aquatic vertebrates adapted to life on land.” Dr. Chang picks up this prestigious award at the ceremony held on the 22 March 2018 in Paris, on the 20th anniversary of the L'Oreal-UNESCO For Women in Science program. 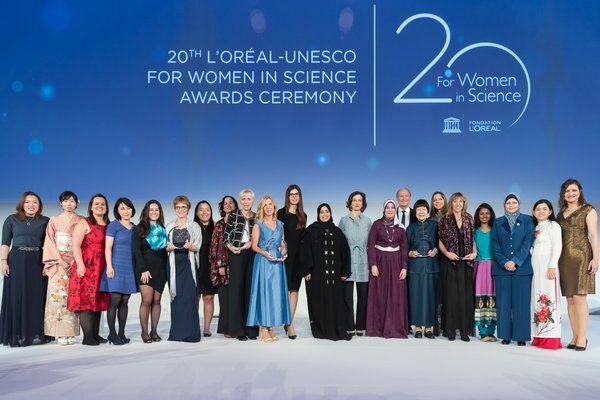 The L'Oréal-UNESCO for Women in Science Awards celebrate the many eminent women in science all over the world, and in particular they expose the under-representation of women in prestigious awards. 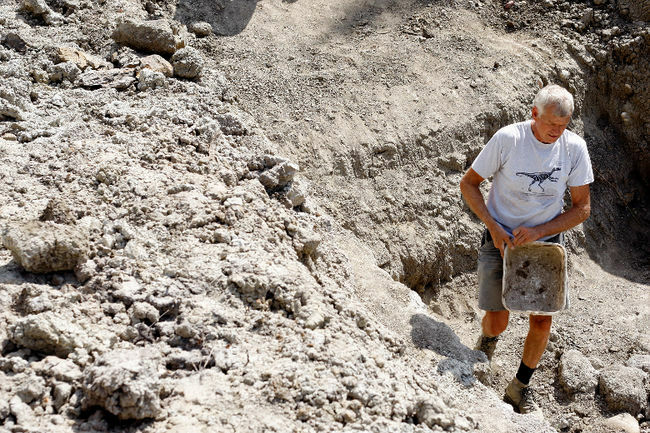 Dr. Chang, a paleontologist and evolutionary biologist, graduated from Moscow University in 1960 and received her Ph. D. from Stockholm University in 1982. She has since been a research professor at the IVPP. 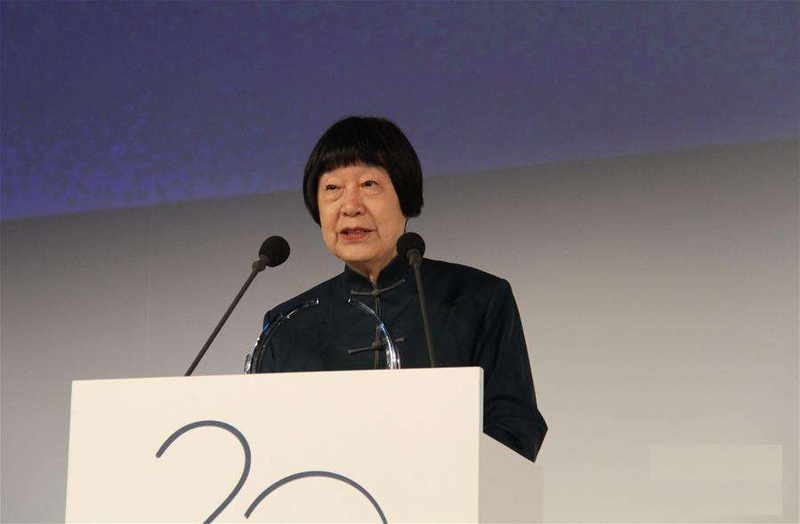 She served as the director of the institute from 1983 to 1991, president of the International Paleontological Association from 1992 to 1996, and president of the Paleontological Society of China from 1993 to 1997. In 1991, she was elected as a Member of the Chinese Academy of Sciences. Her research over the past 50 years has contributed significantly to our understanding of the evolution of species. 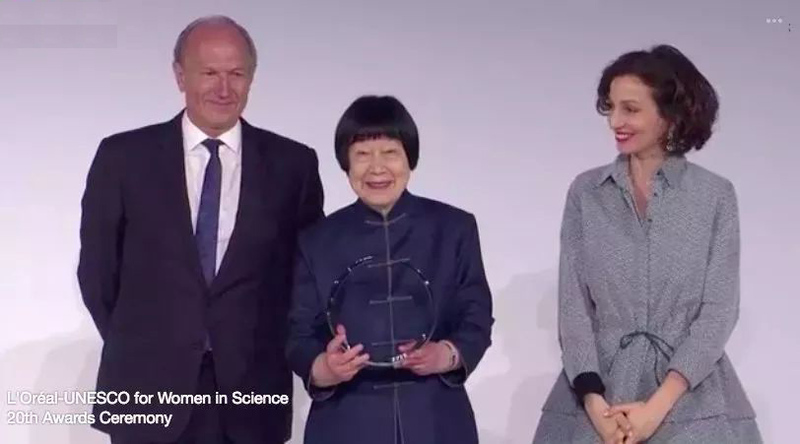 Each year for the past two decades, the Women in Science winners are selected by an independent jury of ten high-profile members of the international science community. This year, the committee was chaired by a 2009 Nobel winner, Professor Elizabeth H. Blackburn. Each winner receives €100,000. The other recipients are: Professors Heather Zar, Janet Rossant, Caroline Dean and Amy T. Austin. In addition to an awards ceremony celebrating these outstanding women scientists, the L’Oréal-UNESCO For Women in Science program has launched an international communications campaign in seven international airports (Paris, New York, Beijing, London, Dubai, Sao Paulo and Johannesburg) and on the streets of Paris to raise public awareness of their achievements.